Proposed site for new city park. Photo by Dave Reid. A proposal for a new park in Bay View has been rejected — for now — since the City Plan Commission voted yesterday to deny significant changes in zoning to the regional comprehensive land use plan in order to accommodate the development of a park. The park, proposed by Ald. 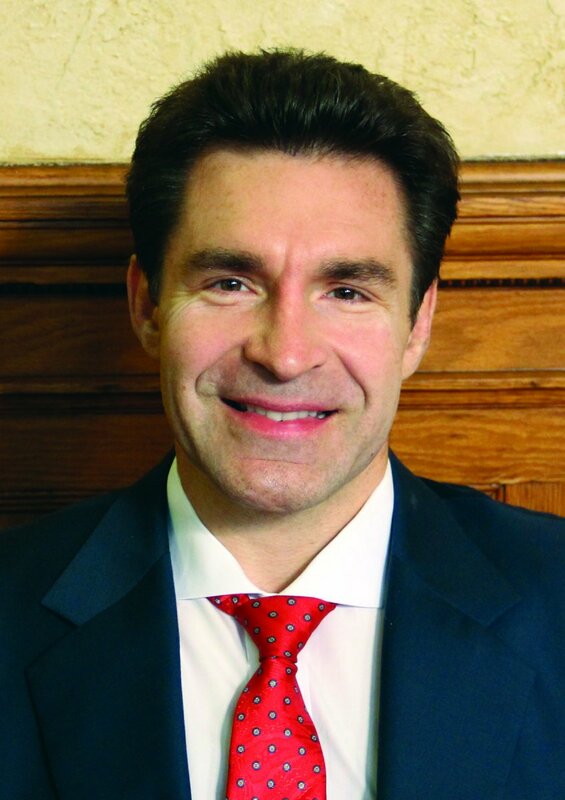 Tony Zielinski, would be located on a six-acre parcel bounded by E. Lincoln Avenue to the north, E. Bay Street to the East, E. Conway Avenue to the south, and S. Logan Avenue to the west. It was a former Army Reserve base and is now city-owned surplus property. The parcel is zoned for housing and is one of four areas designated as a potential catalytic development site in the South East Side Area Plan, created in 2008. Curiously, the land is just across the street from a current park with about the same acreage, the Beulah Brinton Playfields. This fact, however, got little discussion at the meeting. 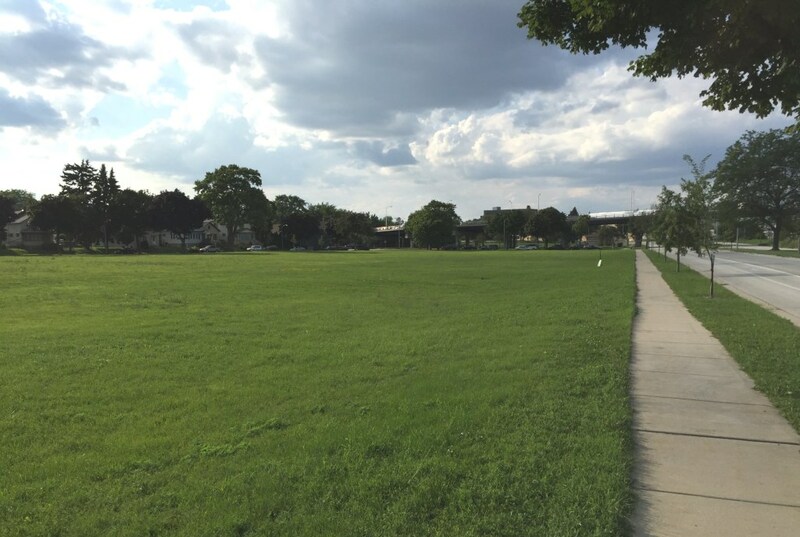 Zielinski had the file for the proposal created in July and asked the Department of City Development (DCD) to draw up the amendment to the comprehensive plan, despite DCD staff recommendations that the area not become a park. But Zielinski didn’t make his case for the park to the Plan Commission yesterday because he was out of town. Without significant community input, the commissioners concluded it would be imprudent to make changes to a land use plan and zoning for a property that was deemed catalytic. “This is a big deal for us to amend the South East Side Area Plan,” said Patricia Najera, chair of the plan commission. Sam Leichtling, a long-term planning manager with the Department of City Development, told the commission the area is suitable for a variety of development possibilities because of its size and location. Shortly after the comprehensive plan was drafted, the city solicited development proposals and received a number of them between 2008 and 2009. But then the real estate market tanked and they haven’t solicited proposals since. 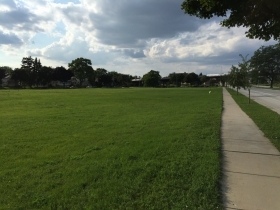 Besides the fact the land is seen as ripe for development, it also does not meet criteria the city has established for determining whether to create a park. In fact the city rarely creates parks. “The city really isn’t in the parks business,” said Plan Commissioner Whitney Gould, noting that typically falls under the county’s purview. 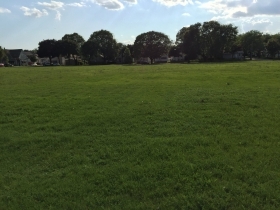 Vanessa Koster, planning manager with DCD, agreed and said the city focuses on maintaining currently owned parkland and tries to pursue parks in areas that are underserved by parks or recreation areas. A city goal established in the comprehensive outdoor recreation plan is to have every resident within about a 10 minute walking distance of a park or green space, especially where there’s a high number of low-income families in the area, Leichtling said. So priority is given to projects that meet these criteria. The 14th aldermanic district, or Bay View, is in the middle of the pack in terms of the number of acres of parkland it has. 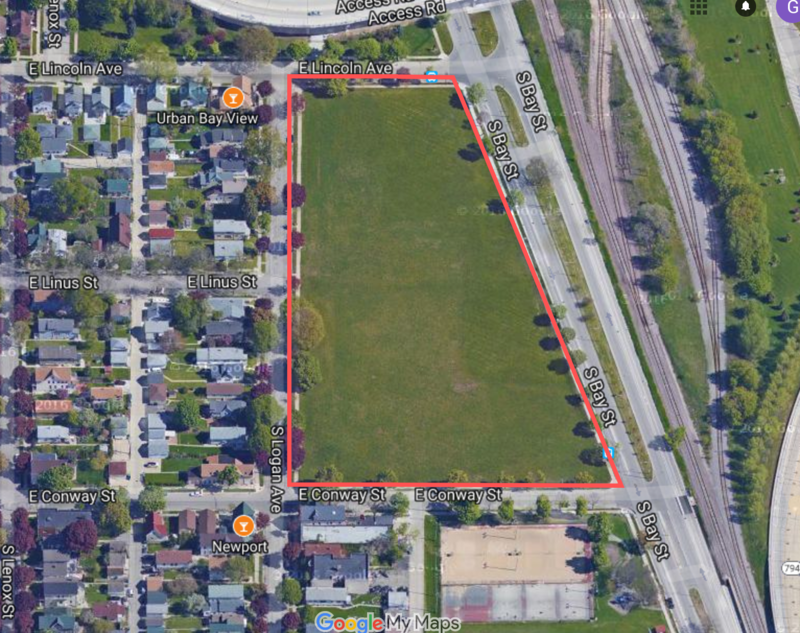 Yet this land is located such that its residents are the highest served population in the city in terms of access to parkland and green space, according to city data presented to the plan commission. 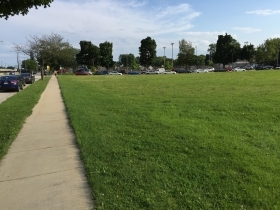 A real estate development plan for the area could incorporate a park or green space, but DCD staff doesn’t think it’s appropriate to use the land “entirely as a park space,” Koster noted. One Bay View resident, Cecilia Chavez, provided testimony at the meeting. She felt the surrounding community would overwhelmingly support a park on the land. “We already feel like this is a park,” she said, noting residents walk their dogs there, hold baseball practices, and even cross country ski there in the winter. Still, Chavez was one resident. The commissioners largely agreed that a project like this, which requires a major change to planning documents and zoning, should undergo a more extensive community outreach process before a decision is made to pursue it. The commission voted unanimously to deny on these grounds, but they only make recommendations. Next it goes to the Common Council’s Zoning, Neighborhoods & Development committee where Zielinski is likely to push for his idea, while DCD opposes it. The issue could test the bounds of “aldermanic privilege,” the council’s tradition of giving great sway to an individual member’s views on development within his or her district. This is PRIME property for development and the city knows it. It might also come in handy if we ever want to revisit the KRM line. It would be the perfect place for a Bay View depot. I guarantee these people wanting a park own homes in the area and want nothing more than to preserve or even increase their properties value. Nothing more, especially considering a park already exists across the street. I would also go so far as to say these same people are republicans.